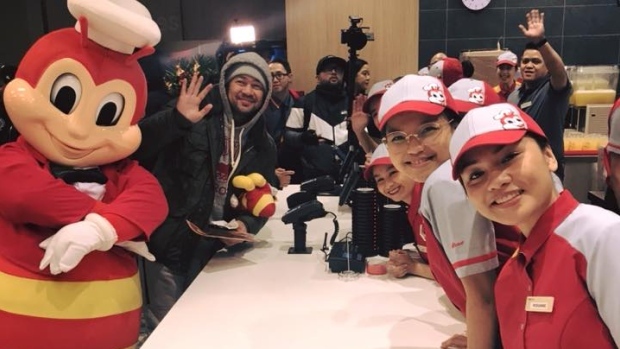 TORONTO -- A Filipino fast-food chain restaurant opened the doors to its first Toronto location this weekend to a long line of fans, some who waited hours, to taste the brand's chicken, burgers and sweet-style spaghetti sauce and noodles. The Philippines was the no. 1 country of birth of recent immigrants to Canada, according to figures from Statistic Canada's 2016 census, with 188,805 people or 15.6 per cent of all recent immigrants being born there. Last year, Seafood City Supermarket -- a large Filipino grocery chain with two dozen U.S. locations -- opened its first Canadian store in Mississauga, Ont.